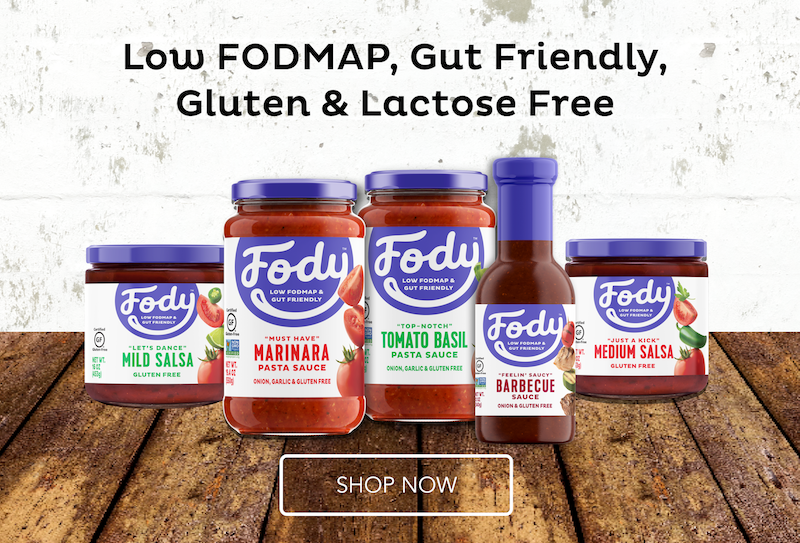 The Fat Foodie - Making Low FODMAP Food Good! 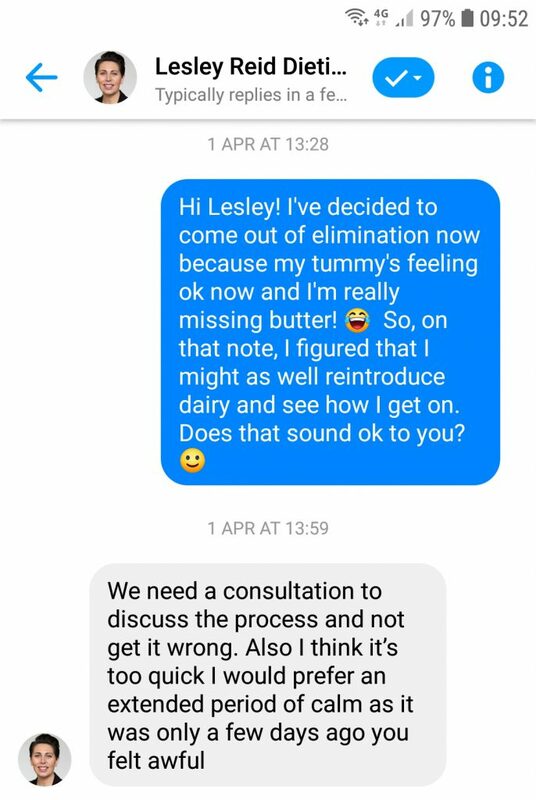 Last Friday Lesley and I had our final elimination phase consultation and she was happy for me to begin the reintroduction phase the following week because my gut had completely quietened down. After going through an extensive questionnaire which helped her to determine if it was safe for me to go forward onto the reintroduction phase we decided that I would try to challenge lactose the following week. You don’t have to eliminate dairy during the elimination phase as long as you use lactose-free products instead, but I have a mild dairy allergy, so I had cut it out of my diet during elimination in order to make sure that any symptoms I was having as a result of the dairy allergy weren’t being confused with any FODMAP responses. I’d also like to point out that during the reintroduction phase it’s important that you still eat the strictly low FODMAP foods you eat in the elimination phase, with the exception of the food that you’re testing on reintroduction. That way you know that if you have a reaction it’s due solely to the high FODMAP food you’re testing and not something else you’ve incorporated into your diet. 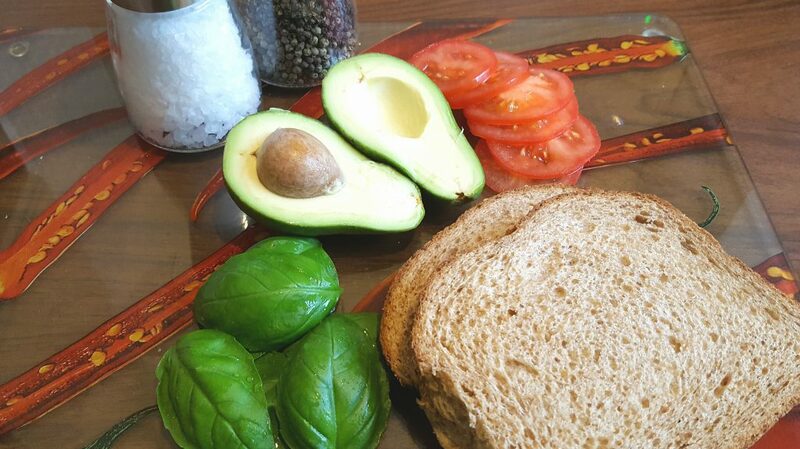 I was looking forward to this challenge because I’ve really missed having real butter on my toast and in sandwiches. I’d even missed cheese even though I’m not a big cheese eater, so I was keen to test my response to it. During our consultation Lesley did a great job of explaining to me how the reintroduction phase works for each of the FODMAPs I’ll be testing, so I knew that on Monday I was to drink 125ml of normal milk, on Tuesday 250ml of milk and on Wednesday 375ml of milk. This was fairly easy for me to take because I just made myself decaf lattes every morning to test my reactions. It’s funny because I thought I’d enjoy the taste of the lattes more than I actually did and I realised that I’d become so used to drinking non-dairy milks, such as hemp, rice and oat, that they’d became my new norm. As a result, I decided that regardless of the lactose response I had I’m definitely going to stick to drinking non-dairy milk. Getting back to the lactose challenge, I was pleased to find that I had no ill-effects on the three days I drank the milk apart from nasal congestion which I attribute to my diagnosed milk allergy, so I thought I was doing well at tolerating the lactose, but on Wednesday evening I had a full-blown spasm attack which lasted all day Thursday too. Another weird effect of the lactose challenge is that whereas ordinarily I’m IBS-D the lactose had led to me having much more solid stools and having a bit of IBS-C which was very odd for me! Lesley had stressed to me that I was to keep her informed about how each of the challenges went, so it was with disappointment that I messaged her on Wednesday evening and told her about my reaction. She reassured me that it could have been the cumulative effect of having lactose three days in a row which had led to my reaction, but she also said that I might be able to tolerate small amounts of lactose, but maybe not every day. Lesley then advised me to spend the rest of the week eating very low FODMAP again in order to re-settle my gut in preparation for testing a new FODMAP group next week. Today is Friday and I now feel much better. My gut is once again calm and I’m confident that by Monday morning I’ll be able to start a fresh FODMAP challenge although I’ve yet to decide which one. I had planned on testing fructans, specifically bread, but I’m not sure if I’m ready to deal with another spasm attack quite so soon, so I suspect I might pick a group that I’m fairly sure I can tolerate well, such as sorbitol. I’ll decide when Monday comes around. By following this system I hope that I can monitor my body’s reaction to different quantities of lactose by seeing how it reacts the day after each ‘dose’ of lactose. As always during this process I’ll keep you informed about how I get on with each of the challenges. A lot has happened since I last updated you on my progress through the elimination phase, so this blog post is going to be more of a newsletter. As week 2 began to draw to a close I decided that my gut hadn’t quite calmed down enough to justify starting the reintroduction phase, so under the direction of my dietitian, Lesley, I continued into a third week of elimination. This co-incided with me beginning to take Symprove liquid probiotics in an attempt to support my gut microbiome while in elimination. 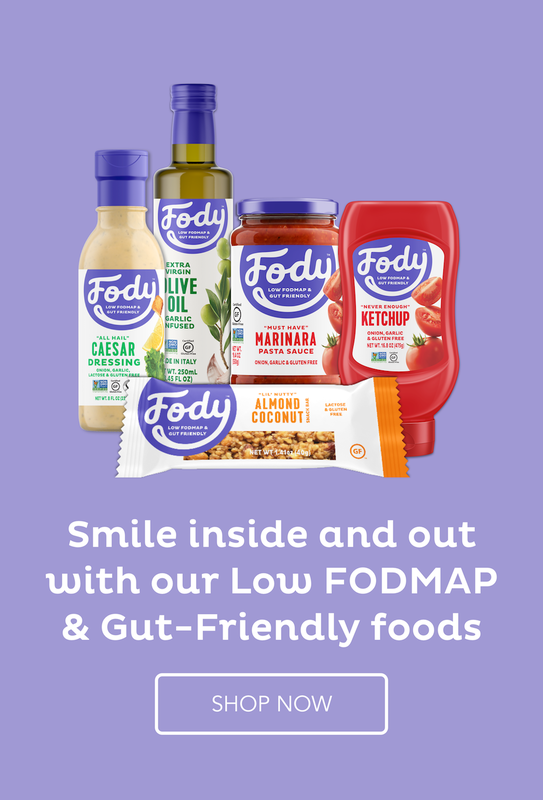 Studies have shown that the extremely low FODMAP foods we eat during elimination are low in prebiotic fibres (the ones that feed the bacteria in our guts) and, as a result, the elimination phase depletes the number of ‘good’ bacteria within the gut. This isn’t ideal because our gut microbiome is an important factor in our overall health, so Lesley had suggested that I start taking a good quality probiotic to support my gut during the process. 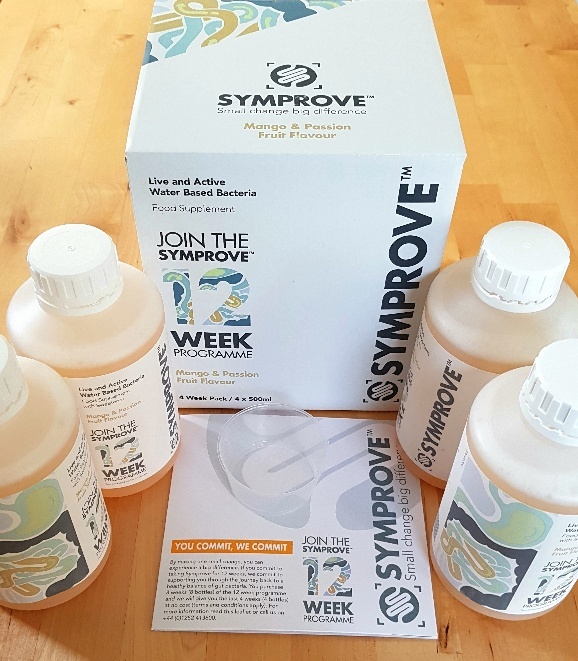 One of the probiotics that Lesley approves of is Symprove because it provides a shot of over 10 billion good bacteria in every daily dosage, so I contacted Symprove to see if they would be interested in allowing me to test it and I’d write about my experience on the blog as a result. Happily, they agreed and sent me a month’s worth of Symprove. On the Sunday morning of week 3 of elimination I dutifully drank the 70ml recommended dosage of Symprove and awaited the results. (I had the Mango and Passion Fruit flavoured Symprove and it was palatable with the slightly tangy flavour you’d expect from a probiotic liquid.) Sunday passed without incident and I figured that my system was handling the Symprove well. Unfortunately, at 2:10am on Monday morning I was proved wrong because I awoke with a very urgent need to go to the loo and, sparing you the details, by the time 7:45am rolled around I’d ‘went’ five times. At this point I had to take a couple of anti-diarrhoea tablets and I took one again after lunch, which calmed things down. Needless to say, my Monday was horrendous. It was a day spent wracked with intestinal spasms and cramps all day long. I had a hot bath after I got home from work and I was in bed for 7:30pm and asleep by 8pm. It was an exhausting day. On a side note, does anyone else get extreme fatigue when they have an intestinal episode? I’m not kidding, at 11:30am I could have lain down on the carpet underneath my work desk and slept instantly! When Tuesday morning came around I approached the Symprove bottle with caution, but conscious of my gut health, I decided to take it again. Thankfully I didn’t have a bowel reaction quite as violent as the day before, but I did have really bad gas all day long which was very uncomfortable. I had the same symptoms on Wednesday too after taking Symprove. With this in mind I messaged Lesley and asked her whether she’d heard about people having this sort of reaction to Symprove and whether I should continue to take it, but as Wednesday progressed I decided that I would stop taking it because I felt too uncomfortable. This decision was partly motivated by the gut symptoms I was experiencing, but it was also influenced by a chat I’d had with an American friend who is very well-versed in the FODMAP diet. 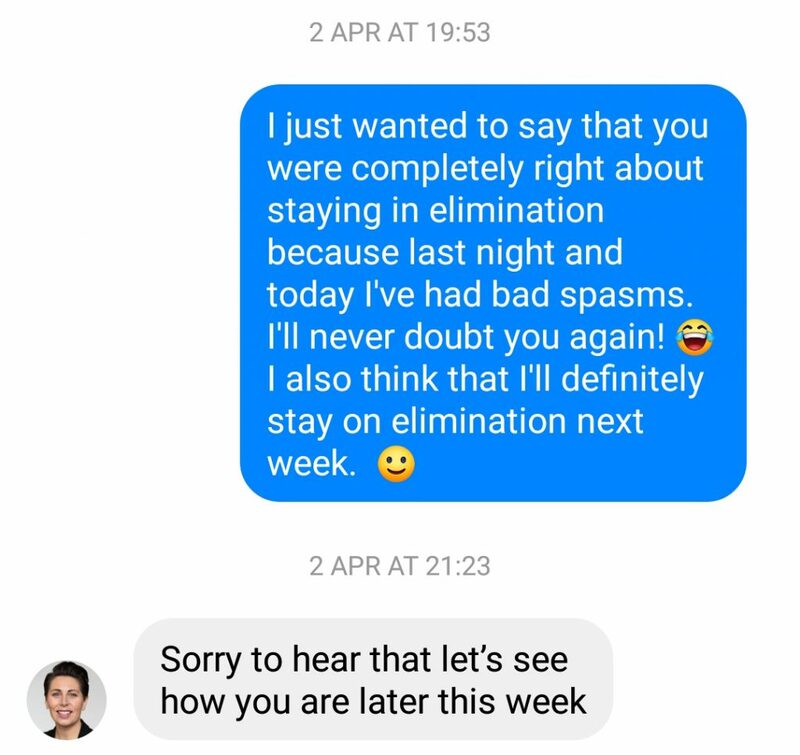 In this chat, Hely advised me that Monash generally don’t advise taking probiotics during the elimination phase because it can skew the results, which makes a great deal of sense when you think about it. However, this is a double-edged sword because on the one hand you don’t want your gut microbiome to be depleted as a result of being in the extremely low FODMAP elimination phase (which has been evidenced in a number of scientific studies), but on the other hand you don’t want to warp the results of the elimination phase (and the reintroduction phase too, for that matter) by taking a very high strength probiotic which causes your gut to become symptomatic because how can you determine when your gut has calmed down enough on elimination to begin the reintroduction phase and, accordingly, start reintroducing higher FODMAP foods which contain good prebiotic fibres. You see the dichotomy here, don’t you? I made the choice which I feel was best for my health and stopped taking Symprove, a decision Lesley fully supported, and the next day my gut issues had disappeared. Now, that’s not to say that I won’t try Symprove again in the future, perhaps after I’ve completed the reintroduction phase and my gut is on a more even keel, because I’ve heard a large number of success stories from people who’ve used it and have found it life-changing (Emma Hatcher has had positive results with it too), but at the moment I’m just going to focus on getting through the elimination phase successfully. (which I’m really excited to share! 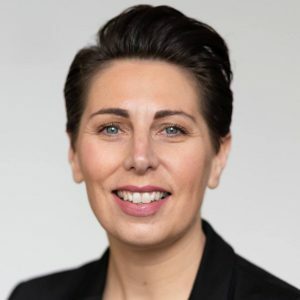 ), Lesley’s asked me to join her at the ‘Introduction to the Low FODMAP Diet for IBS’ workshop she’s organising for the 11th of May this year in Glasgow which is going to cover all of the important aspects of the low FODMAP diet. It’s a bespoke workshop which will cost £199 to attend (it’s normally £249) and this price includes a two course low FODMAP a la carte lunch in a top Glasgow restaurant. Oh, one more thing. I’ve decided to do one more week of elimination just to be fully satisfied that my gut has calmed down before I start the reintroduction phase. As always, I’ll keep you updated on my progress.